Sparta was a town in southern Greece. It was already a town in the Late Bronze Age. So it appears in Homer‘s Odyssey as the kingdom of Menelaus and Helen. During the Dark Ages, Sparta fell on hard times like other Greek towns. In the early Archaic period, around 900 BC, Sparta began to grow again. Although most Greek towns got rid of their kings at this time, the Spartans kept their kings. In fact, the Spartans had two kings at the same time. The biggest change in Sparta’s history, though, came around 700 BC, when the Spartans seem to have conquered a group of people living near them, in Messenia. The Spartans enslaved the Messenians, whom they called helots (HEEL-otts), and made the Messenians (mess-EEN-ee-anns) farm all the land for them. The Spartans treated the helots very badly, often beating them and whipping them, or even killing them for no reason, and not giving them enough food. Spartan men, now that they didn’t have to work anymore to get food, spent all their time training for war. With all that practice, the Spartan army got really good at a new kind of fighting called hoplite warfare. When little Spartan boys turned seven, they left home to live in dormitories with all the other Spartan boys their age. They did not learn to read or write or do math or play music, but instead they spent all their time learning to be good soldiers. They exercised, and they learned to use swords and spears. To make these boys tough, their teachers never gave them enough food or clothing or blankets. People in other Greek city-states, like Athens or Thebes or Corinth, told stories about how mean the Spartans were to little boys. 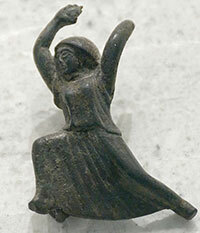 Spartan girls lived at home with their mothers and fathers, instead of in dormitories, but they also learned to be tough, with plenty of exercise. The girls also learned to run houses, and how to spin and weave. But most of their work, like that of their brothers, was done by helot slaves. Did you find out what you wanted to know about ancient Sparta? Read our article on Sparta in the Persian Wars or ask your question in the comments. Cite this page: Carr, K.E. 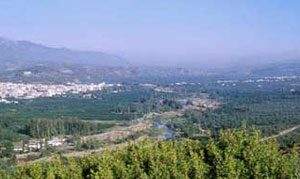 Sparta, Greece – The city-state of Sparta in ancient Greece. Quatr.us Study Guides, July 6, 2017. Web. April 17, 2019. They practiced fighting a lot. They could practice more than other men because they had captured the Helots and forced them to work for them, doing their farm work, so they were free to practice fighting all the time. Yes, it is. They did learn to read and write too, along with learning to be soldiers and how to weave and stuff.